Wonderful shot! Congrats on the HM! So sweet! I remember when my little boy used to pretend to be Superman. Congrats on your HM! Love this!! Congratulations on your top 5. Love this,Congrats on the finish. Didn't vote this challenge but am enjoying the results - love this one. Delightful! This was my second highest vote. I thought there was only one better in the entire challenge, but it finished somewhere near the bottom. I really wish this would have ribboned. Such a simplistic, yet thought provoking image. Brings back memories of being a kid myself and thinking anything was possible. Absolutely lovely! The colors, composition, body potiion, just everything is great. I cannot say enough good things. So adorable! 8 from me! Love this - just love this. Love the framing, the DOF, the contrasts - and just love it! Voted earlier coming back to comment now. It may not show the 'typical' idea of superpower by action or manifestation of power, but I LOVE this! The power of imagination and belief comes off strong. It perfectly captures the wonder of the world I child has...something we lose when we become older. This captures the simple pure joy a child has when donning the suit of their imagination. 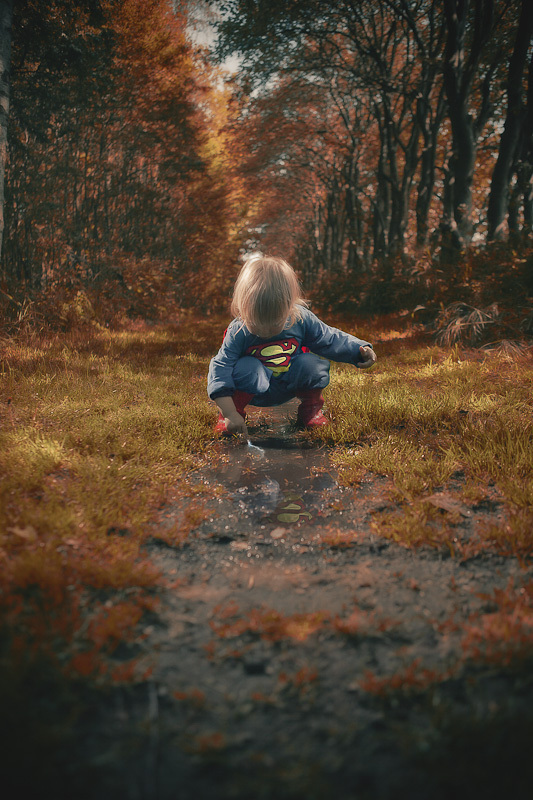 This little boy can and is "Superman" with the power of his imagination. Love it! I like the simplistic approach. Proudly hosted by Sargasso Networks. Current Server Time: 04/26/2019 01:42:10 AM EDT.